The Volvo S60 is an attractive car. Its aerodynamically shaped front fascia is smart and tastefully clean with just enough stylishly sporty details for an upscale presence, its windswept side profile provides a performance-oriented yet tastefully elegant four-door coupe-like shape, while its trademark Volvo taillights finish the rear end design off ideally. My T5 AWD Dynamic trimmed tester delivered an even sportier theme thanks to an R-Design lower front apron, a subtle spoiler discretely perched atop the rear deck lid, an eye-grabbing grey and black diffuser-style rear bumper cap with circular exhaust pipes at each corner, and rounding out the look, aggressive looking 18-inch five-spoke diamond-cut alloys with black-painted pockets, while its standard Polestar Performance Optimization upgrade made all of its outward dynamism inwardly relevant. By that I'm not talking about the S60's interior, which doesn't feature any Polestar branding yet continues into 2018 as one of the more refined cabins in its compact luxury class. If you want your S60 interior modified with blue Polestar highlights along with other stylish upgrades, even including sportier exterior enhancements, a smoking hot 367 horsepower engine and significant suspension mods, you'll need to pay $67,050 for an S60 Polestar and call it a day. 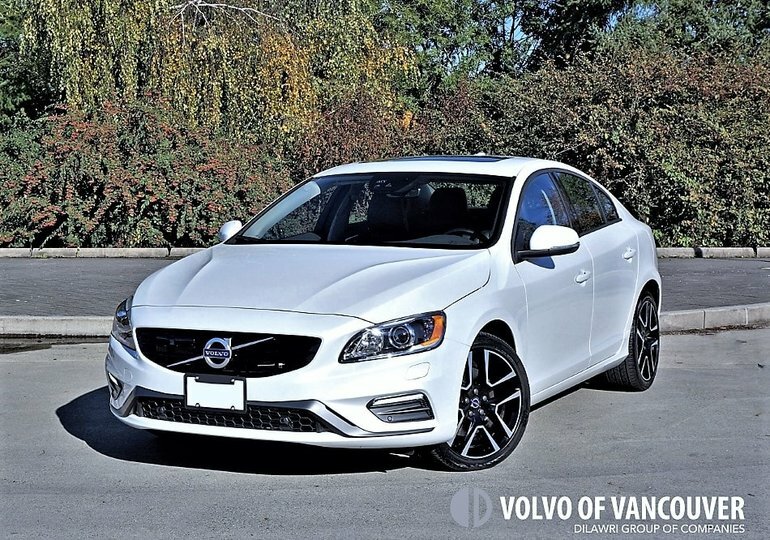 Instead, choosing mid-range Dynamic trim means the S60 T5 AWD comes standard with Polestar Performance Optimization for just $47,900 (you can get the same setup with the T6 AWD powertrain for $51,500), this maintaining the S60's already formidable base engine output yet quickening on and off throttle response plus shift speed, increasing gear hold duration, plus more, while the turbocharged and supercharged S60 T6 AWD model gets a four-horsepower bump up to 310 ponies. As noted, the S60 T5 AWD's turbocharged 2.0-litre four-cylinder engine's output remains unchanged at 240 horsepower and 258 lb-ft of torque, which while not quite as thrilling as the T6 off the line is nevertheless plenty capable all on its own. With 100km/h arriving in just 6.2 seconds from standstill and its top-speed set to 210 km/h, it will easily exceed posted limits at a much faster rate than you might be prepared for, whether zipping around town, stretching its legs on a curving backcountry road, or letting it fly on the highway. If canyon carving is your thing I'd recommend opting for the $1,850 Sport package that increases alloy wheel size by an inch to 19s, lowers and firms up the suspension, adds paddle shifters behind the steering wheel spokes to extract the most from the S60's already quick yet smooth shifting eight-speed automatic, and bolsters the front seats with a sportier design that comes complete with contrast-stitched black, beige or Beechwood leather. 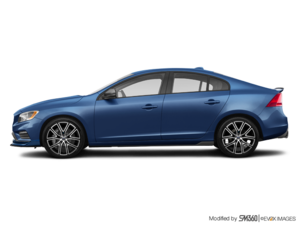 Still, my non-Sport packaged model took to corners with confidence inspiring poise thanks to Volvo's Dynamic Chassis setup and grippy torque vectoring all-wheel drive, albeit modern-day Volvos are never lacking when it comes to handling credentials. Its variable-assist electrical power assisted rack and pinion steering is direct and responsive, fully independent MacPherson strut front and multilink rear suspension stable yet reactive, and overall feel ideal for those seeking reassuring feedback without punishing rigidity. Yes, the S60 isn't as tightly sprung as some premium rivals, its ride/handling bias focused more toward the type of cosseting comfort that luxury buyers tend to prefer. This, combined with two of the plushest yet supportive front seats in the class, results in a car I could drive all day long without growing weary, which is saying something considering my all too regular lower back problems. I previously referred to the S60 as a compact luxury sedan because the D-segment covers a lot of area, but generally it's larger than the mainstream volume-branded compact class and smaller than a traditional North American-market mid-size four-door, which are sized closer to Euro E-segment cars like Volvo's S90. While the S90 is considerably larger and more spacious inside, the S60 provides plenty of room for most body types and sizes. My 173-cm medium-build frame certainly had no problem fitting inside with inches to spare in every direction, whether seated up front or in behind where its rear outboard seats provided nearly as much comfort and support as those up front, especially with the available heaters turned on, while rear materials quality and fit/finish is equal to the frontal seating area as well. Everything above the waistline is made from high-quality soft-touch synthetics and leathers, with the doors even pliable down to their bottom panels. One of my favourite Volvo design details since inception, a floating centre console gets filled with myriad dials and buttons like a high-grade stereo component, while the beautiful metal-edged dials are stunning. This model gets piano black lacquer for the centre stack backing, which is much denser than the usual plasticky garnish found in competitors. It continues onto the door panels, while satin-silver trim surrounds the centre stack and decorates the doors as well as the steering wheel, the latter a nice, shapely, leather-wrapped design. A fully configurable digital gauge cluster continues to show off early Volvo leadership in high-tech electronics, while the model's 7.0-inch Sensus infotainment touchscreen is completely with loads of high-grade functions, such as navigation with detailed mapping, audio/media system controls, phone set up, vehicle instructions, internet access, and a reverse camera you can choose to use even if the S60 isn't backing up. The parking monitor even includes rearview zoom if you'd like to see something close up, while the regular camera includes handy dynamic guidelines. Of course, dual-zone automatic climate control is standard, made better via Volvo's Clean Zone air quality system, while over and above everything already mentioned the S60 T5 AWD Dynamic model's features list is further enhanced with remote engine start, approach/puddle lamps, active bending HID headlights, headlight washers, LED daytime running lights, a laminated windshield, rain sensing wipers, an electromechanical parking brake, pushbutton ignition, heatable powered front seats with two-way powered lumbar support, three-way driver's seat and side mirror memory, leather upholstery, an auto-dimming centre mirror, a powered moonroof, advanced voice control, Bluetooth phone with audio streaming, satellite radio, auxiliary and USB ports, front and rear parking sensors, Volvo On-Call (including remote start and vehicle tracking), blind-zone alert with rear cross-traffic alert, hill start assist, City Safety autonomous emergency braking, all the usual active and passive safety features, power-folding rear headrests, 60/40 split-folding rear seatbacks with a centre pass-through, and more. The S60 also includes standard engine start/stop that shuts the engine off when it would otherwise be idling, this helping to reduce emissions and fuel consumption. Set to its most efficient driving mode the S60 T5 AWD is good for a claimed 11.0 L/100km in the city, 8.1 on the highway and 9.7 combined, while it saves even more by only requiring less expensive regular unleaded fuel. This is a superb fuel economy, all the more important as Vancouver's fuel costs rise above $1.50 per litre. My test model's extras included dazzling $900 Crystal White Pearl metallic paint; a $650 Convenience package featuring power-folding auto-dimming side mirrors, high-level interior illumination, a garage door opener, a compass, and a grocery bag holder; a $1,350 Climate package with heated washer nozzles, a heated windshield, a heatable steering wheel, and heated rear outboard seats; plus a $1,600 Technology package that adds Adaptive Cruise Control (ACC) with Queue Assist and Distance Alert (DA), upping the total asking price to $54,415. Not included were $135 rear window sunshades, a $1,500 Harman/Kardon premium audio upgrade with 12 speakers and 650 watts of power, and a $315 Protection package with four all-weather floor mats. The 2018 S60 is an excellent car that's highly competitive within its compact luxury segment, and thanks to strong performance combined with greater comfort than most of its peers, it's a pleasure to drive no matter the speed.